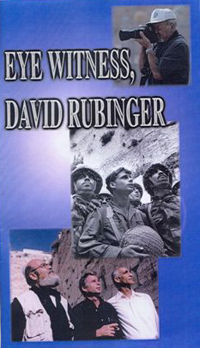 Israel as seen through the eyes of David Rubinger, the laureate of the Israeli Prize for Photography and an internationally prominent photographer. Rubinger began photographing in 1947, and since then he has documented famous leaders and exciting characters, and has been an eyewitness to the dramatic events that took place in Israel throughout the years. In the film, Rubinger journeys back to the places and people he photographed in the course of the years, and leads the viewers to a better understanding of the contemporary Israeli reality. Rubinger’s pictures represent his own life story, professional views and experiences, but mainly his great love for the country and its people.